"Florence cut a broad path of death and destruction through our state and we will not soon forget this storm or the lives it claimed," NC Gov. Cooper said. North Carolina’s governor said Tuesday that two more deaths related to Hurricane Florence have been reported in that state, bringing the total who died in the storm and its aftermath in three states to at least 49. A 49-year-old man found outside of a Duplin County home on Sept. 21 died of a head injury when he fell after he fell from a ladder while repairing storm damage, and a 69-year-old man in Pender County died on Sept. 22 after falling from a roof while cleaning debris and repairing storm damage, Gov. Roy Cooper’s office said. "Florence cut a broad path of death and destruction through our state and we will not soon forget this storm or the lives it claimed," Cooper said in a statement. "For people working to recover, applying with FEMA is the single most important thing you can do. If you suffered damage from Florence, make sure you apply for assistance right away," Cooper said. Hurricane Florence made landfall in North Carolina on Sept. 14 as a Category 1 storm, though it weakened. 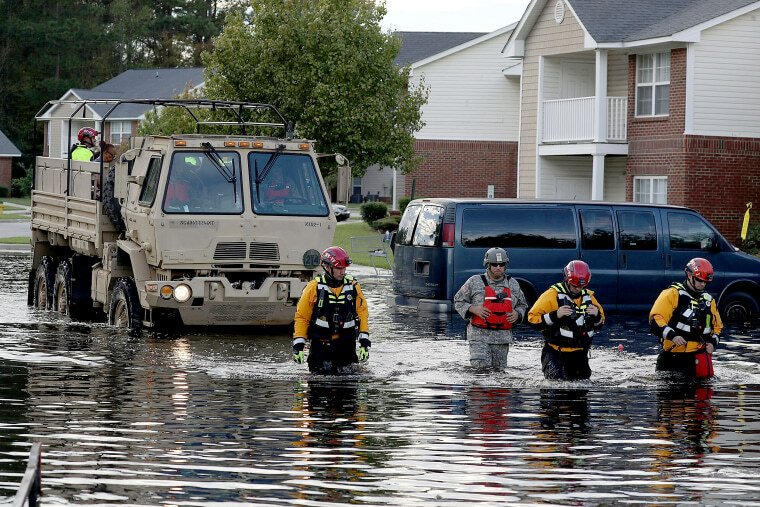 But the storm moved slowly over the Carolinas and dumped more than 30 inches of rain in some parts of North Carolina. There was flooding in both states caused by the storm. Most of the deaths from Florence and its aftermath, 39, occurred in North Carolina, officials have said. At least nine people died in South Carolina, and in Virginia one person was killed by a tornado believed to have been caused by remnants of Florence as it moved north.